Setting the kind of standard of excellence that CEPHALIC CARNAGE reached virtually from the beginning of its career can be a tricky proposition. Any slight detour, any album that climbs a lesser known, yet comparatively steep hill, leaves a band open to nostalgia junkie bitterness and critical snobbery. 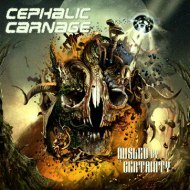 Fortunately, CEPHALIC CARNAGE has never made a misstep and if anything continued its ascent to greatness with each release, the band hitting stride with 2002's "Lucid Interval" and then sprinting with 2005's "Anomalies" and 2007's "Xenosapien", the middle disc considered by most to be a watershed. 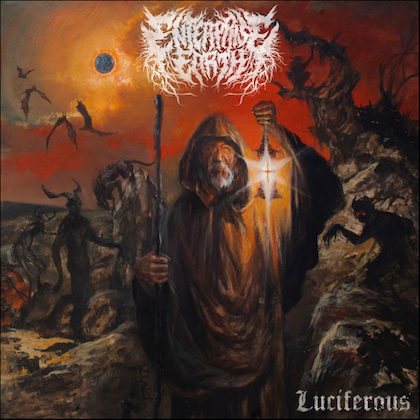 With "Misled by Certainty" the Colorado hydro-grinders have made an album that is by almost anyone's standard one of the better grind-spattered death metal releases of 2010. The one knock — and it's questionable whether that is even an appropriate term — is that it often follows a path that is more traditional in a modern tech-death sense. Considering that a solid CEPHALIC CARNAGE album will typically beat a good tech-death album by most any other band should leave fans little to worry about. Opener "The Incorrigible Flame" sports just the kind of tech-y (and sweet as hell) riff that will leave fans wondering whether the group has reigned in the psychotic shape-shifting that made previous releases so dazzling. They've not reigned in as much as they've settled down the frontal lobe with psychotropic medication. The bursts of psychosis still occur with some regularity, but are shorter-lived, while time signature angularity and those trademark seamless transitions between polar opposites are still present. Degrees of experimentation and journeys into dimly lit corridors haven't been abandoned by a long shot. The 12-minute "Rapangaea" with its fitting saxophone melody lines, haunting atmospheric sections, and comparatively accessible (in a MASTODON kind of way…sort of) vocal lines is an invitingly grand way to "come down," if you will. Although 30-second blaster "Aeyeuchg!" is the actual album-closer, it is more like a warning not to be fooled into thinking the mental wounds have healed. 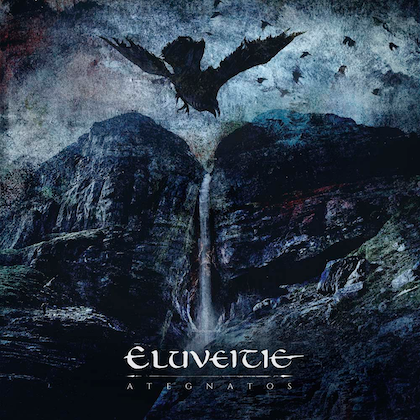 "When I Arrive", featuring CATTLE DECAPITATION's Travis Ryan, flips switches for the entirety of its three minutes, including a closing section of vocal melody that could damn near fit on an ALICE IN CHAINS album. 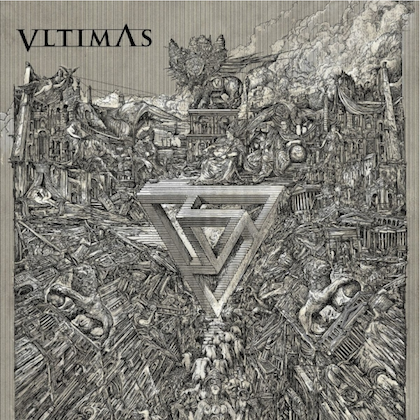 The album features several other guest musicians as well, including Ross Dolan (IMMOLATION), Alex Carmago (KRISIUN), and Sherwood Webber (ENEMY REIGN, ex-SKINLESS). For most of the remainder of "Misled by Certainty" the hat is hung on mid-tempo, even groovy, cadences of riff crunching sickness that burn hotter and hotter with every visit. There are twists turns, and measured freak outs aplenty, but there is something about that the type of dark 'n swampy riffing on songs like "Raped by an Orb" that tends to grip tighter with every spin. The final analysis? CEPHALIC CARNAGE still rules the proverbial school. Don't let the opinion that "Misled by Certainty" is closer to center field than left field deter you from plunking down the bucks for another neuron melting CEPHALIC CARNAGE demonstration of death/grind skill and lunacy. So what if it's not a stupendous addition to the Coloradoans' catalogue? It's a great album. According to the Metaller's Guide to Death Metal Superiority, stupendous may not be great, but great is definitely good. Got it?